Wisconsin: home to "Cheeseheads," the National Mustard Museum and the Green Bay Packers. It's also the birthplace of Harley-Davidson, the country's first kindergarten and more than a few beer companies. Famous Wisconsinites include magician Harry Houdini, military legend Douglas MacArthur, actors Gene Wilder and Spencer Tracy, and even "Barbie" (who is said to hail from Willows, WI - when she's not travelling the country in her Dream Camper). Clearly, there's a lot of intriguing and offbeat things about the Badger State. Here are 20 of the coolest things to check out. It's one of architect Frank Lloyd Wright's most impressive accomplishments. The tour gives you a wonderful sense of his creative process, design philosophy and more - and just to experience his blending of land and structure firsthand is pretty amazing. There are tons of fun things to explore at this museum, from model ships to the role that Manitowoc played in ship building. But by far the most popular attraction is a restored World War II submarine - you can even spend the night in it! Shake off the winter in these glorious gardens, largely considered among the best in the state - and the region. There are beautifully laid out paths and trails, well-marked plantings and plenty of great "nature photo ops." One of the state's oldest parks, it overlooks where the Mississippi and Wisconsin Rivers come together. It's a lovely place for hiking, camping, birdwatching, cycling and canoeing. It was discovered on a family farm in 1939, and has been dazzling folks ever since, even being named a National Natural Landmark. Guided tours along lighted walkways get you up close to amazing crystal formations. Above ground, there's a Fossil Dig, hiking trails and more. It's got to be one of the most enchanting places anywhere, two acres where over 60 different children's books come to life. Each "station" features a laminated book to read, with surrounding garden features designed to engage and entertain the imagination of little ones. And maybe yours! Fur trading was a huge part of early Wisconsin-area commerce, and this historical park in Danbury provides a wonderful sense of how it all worked back in the day. Forts Folle Avoine is an expert reconstruction, showing what it would have been like to live and work the trade 200 years ago. In 1945, Alex Jordan had a vision: to create a structure that would both celebrate its beautiful natural location and pretty much blow the mind. Mission accomplished: it's one of the weirdest places you'll ever see, filled with bizarre collections, the world's largest carousel, and music machines that seem to play themselves. This Milwaukee company first revved up in 1903, and has since become an American icon. Take the tour, board a Harley in the "movie room" and ride along to the filmed scenery - even try your hand tinkering with an old engine. Yes, it's really a thing. During July, you can watch real lumberjacks compete in all areas of chopping, sawing, climbing and log-rolling. If it's fall, it's football - and the Packers are among the most beloved teams in history. Indulge, with tons of rare memorabilia, trophies and more. And of course, there's a whole section dedicated to the iconic coach, Vince Lombardi. This popular family-owned brewery gives an inside look at the making of craft beer, with a fun tour - and, of course, tastings. Cheers! Widely considered one of the most gorgeous and scenic roads in the Midwest, it runs for 250 miles and offers fantastic views at every point. There are plenty of cool towns along the way for antiquing, as well as state parks that offer chances at birdwatching, boating and fishing. C'mon, who doesn't love a train? This fantastic museum holds great exhibits, including a train used by Eisenhower during WWII, a massive Big Boy steam locomotive and so much more. And naturally, train rides are available around the grounds. 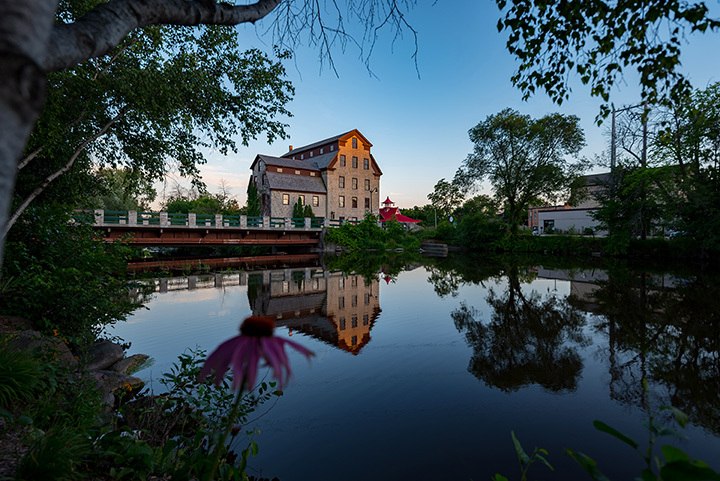 Just a few miles north of Milwaukee is this former mill town. Over 200 of the town's buildings are on the National Register of Historic Places - and they don't disappoint, with many vintage touches that make them seem frozen in time. On a more modern note, you can also explore the town's new crop of restaurants, art galleries and other hipster outlets. Escape the Wisconsin cold inside this acclaimed museum, which houses fantastic works dating back to the 13th century. There's also a more postmodern Pavilion with funky "wings" that have made them an icon of the city landscape. Each January, "snow artists" from throughout the Midwest do amazing things with the flaky stuff. Once you see the results, you'll give up on making your sad little snowmen forever. When conditions are right, you can trek across Lake Superior to view the spectacular ice formations that hang in the caves and on the surrounding cliffs. Breathtaking. Built in 1892 by the head of the beer empire, it's made many lists of "must visit" historic homes in America. Who knew that brews could buy so much luxury? It's one of those weird sports of the winter Olympics, but it's not as silly - or as simple - as it looks. Try your hand at this welcoming club, that lets folks of all ages and abilities give it a whirl. Or a curl.